Musky Island View Cottages are located on the West Arm of Lake Nipissing Ontario, Canada. We offer peaceful private waterfront cottages perfect for families, fishermen and friends. Boat rentals are available with direct lake access, a boat launch and docking at your door step. Each cottage has a west view of Musky Island and the beautiful sunsets over the lake. The West Arm of Lake Nipissing is home to many wildlife species. 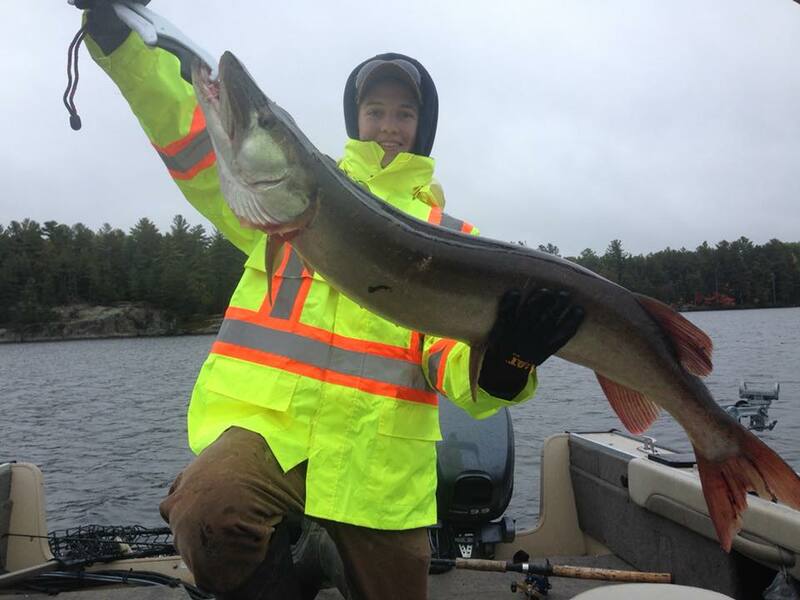 In the waters you will find fish species such as walleye (pickeral), perch, bass, pike, muskie along with many others. Looking up to the sky is a birdwatchers delight with osprey, bald eagles, fish cranes, loons and more. If you are really lucky in your travels around the area you may even catch a glimpse of a moose or bear. Our Cottages are self catering and provide all the amenities required for your stay. Whether you like to fish from dawn til dusk or relax with a good book you're sure to create great vacation memories at Musky Island View Cottages. We have canoes, kayaks and a paddle boat down at our sandy beach for shared use between all of our guests. Lavigne is a small town 15 minutes north of Musky Island Road you will find a Variety store with LCBO, fry stand and a tavern. Bait is also available in Lavigne at Trans Can Baits. Noelville is 25 minutes to the south of Musky Island Road here you will find Home Hardware, Foodland, Beer Store, LCBO, gas stations and fry stands. Sturgeon Falls is the closest small city within a 45 minute drive. Here you will find more shopping, large grocery stores, fast food, pharmacy and hospital. The Monetville Tavern is 15 minutes by car and a scenic 75 minute ride by boat. You will also find the Meadow Springs Golf Course on Hwy 64 at Monetville. Sign up with your email address to receive updates 1-3 times per year. We respect your privacy. Your email address will only be used to send our email update 1-3 times per year. All Content remains property of Musky Island View Cottages.